Ships tomorrow if you order in the next 24 hours 32 minutes. LOVE this product. I drink a liter of water during first 20 minutes of my early morning so on an empty stomach. Put electrolytes and a packet of L-S in, shake well. Absolutely delicious. Very easy order placing. Everything came packaged well and was delivered 2 days before I expected it. My daughter turned me on to Lypo-Spheric Vitamin C.
Lypo-Spheric Vitamin C is undeniably the best C on the market. 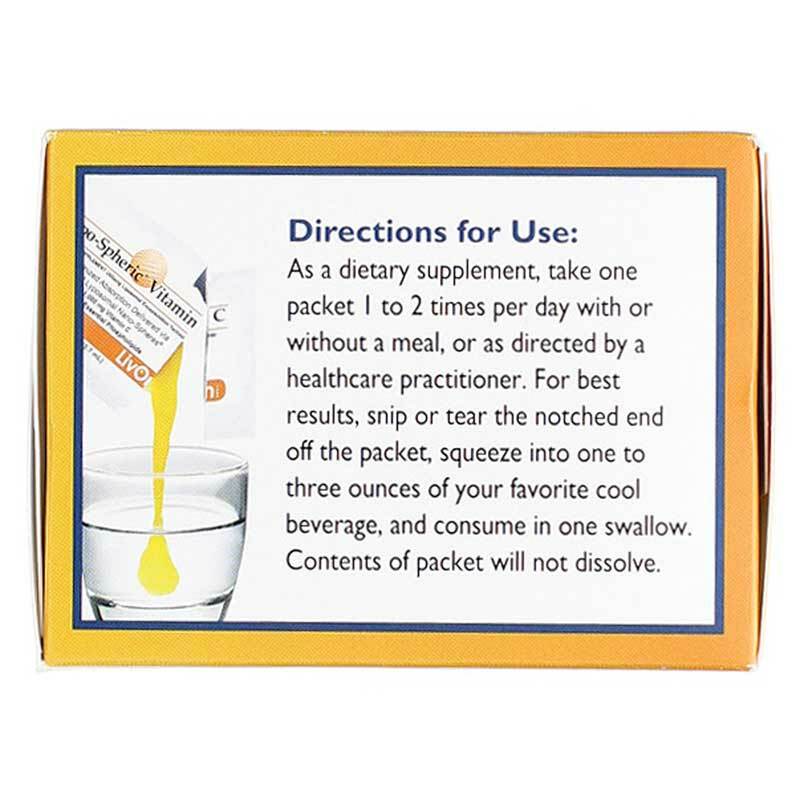 I have used this with the Lypo-Spheric Age Blocker and the Lypo-Spheric GSH. Works great. . Extra Calcium has to be added because of the high doses of C depletes your calcium level. Been taking Lypo-Spheric Vitamin C once a day for 27 days and feel no difference. great product, just wish they diden't use soy.please find something other than a gmo product,why not organic? Lypo-Spheric Vitamin C is convenient especially when away from home. Very effective for immune support. Even if you think your immune system is strong it protects you in many ways. Lypo-Spheric Vitamin C is good. I've been exposed to flu and Virus lately and am remaining healthy. I started with a full envelope daily and then 1/2 and now 1/3. I have used this for years and it is wonderful. GREAT PRODUCT AND EXCELLENT CUSTOMER SERVICE FROM NATURAL HEALTHY CONCEPTS! 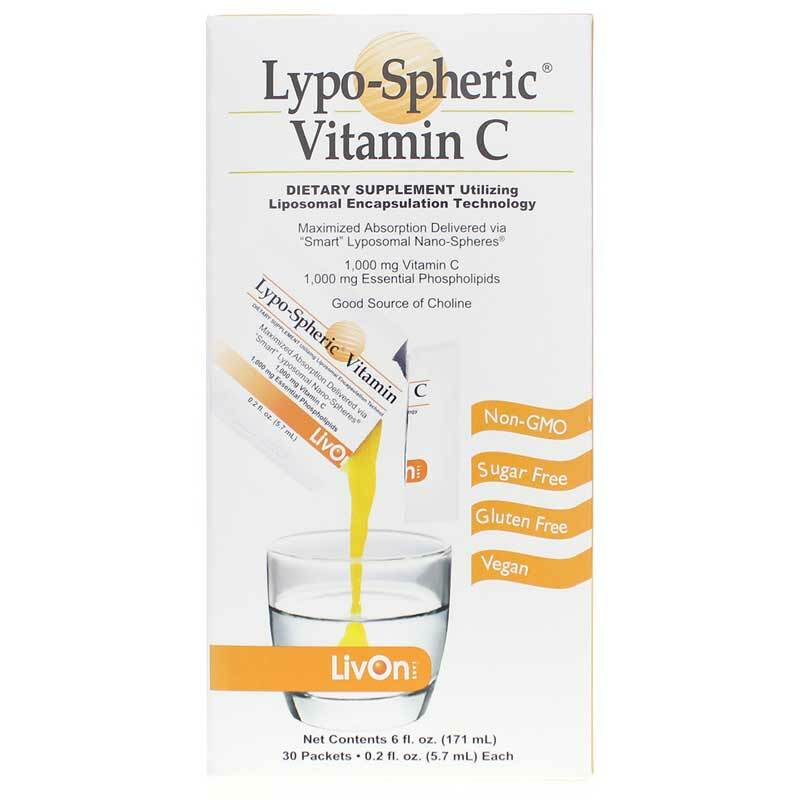 I have been taking Lypo-Spheric Vitamin C by LivOn Laboratories this every day for a few months now and have not been sick. I don't think my family will ever be w/o Lypo-Spheric Vitamin C, ever again. 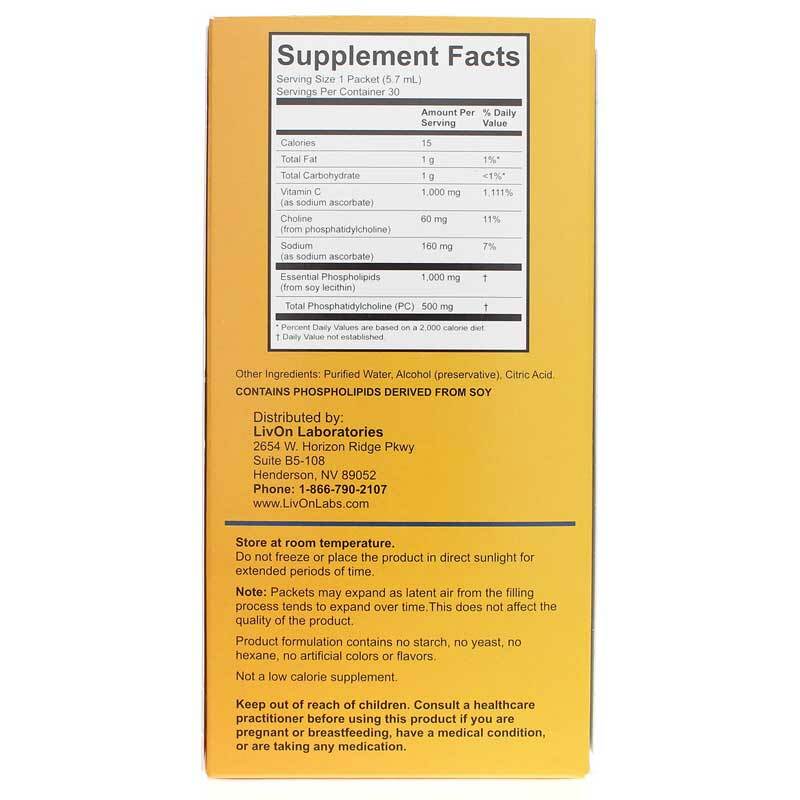 Extreme absorption & nothing artificial or bad for you added! 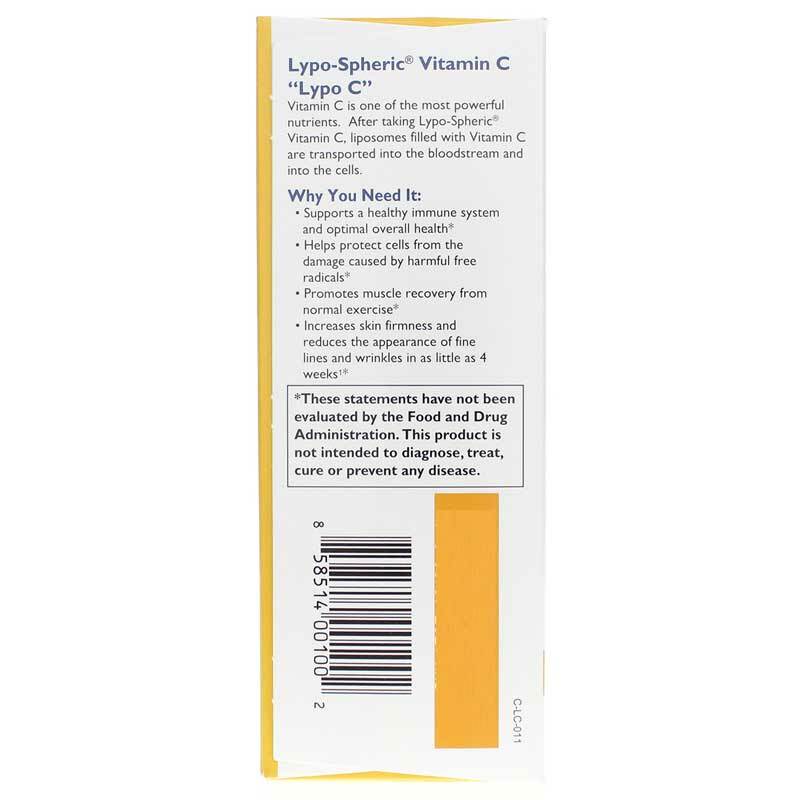 We have tried Lypo-Spheric Vitamin C and felt it really worked, our problem is finding a store that carries it, when you live in Sask.Canada. My dentist recommended that I take Lypo-Spheric Vitamin C.
I feel great when I take Lypo-Spheric Vitamin C. Also, thoughts that I am doing something good for myself makes me feel better. Believe it or not when I take two of the packets I feel I get a energy boost in about 20 minutes or so.